I went for a metallic look an their armor this time. A quite interesting effect. I took another photo with a black backdrop. 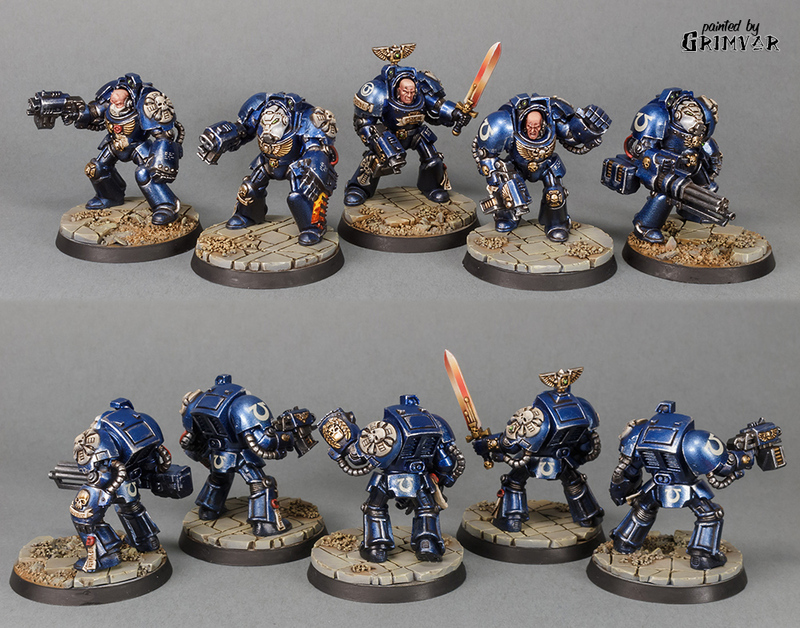 Posted in Warhammer 40KTagged terminators, ultramarines, w40kBookmark the permalink.